Offering you a complete choice of products which include esd safe chairs, esd safe leatherette upholstery chair, esd safe workstation, esd safe stool, esd safe ms workstation and esd safe work bench. 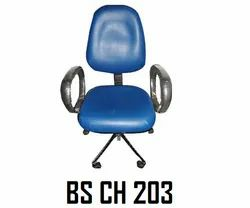 We are a known name offering best quality ESD Safe Chairs for clean rooms and for medical environments. These are made using anti-static PU leather that does not gather dust or mites. 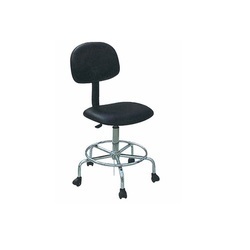 The ESD Safe Chairs are ergonomically designed and constructed to offer optimum comfort. We offer ESD Safe Chairs at the very competent price and our products comply with international standards of safety and quality. 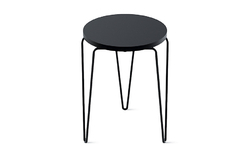 5 Prong heavy Duty ABS Base/Chrome Plated Steel Base with Anti-Static castors. With the assistance of our deft team of professionals, we are able to introduce a broad array of ESD Safe Leatherette Upholstery Chair. The dissipative hard laminate work surface of surface resistance. As one of the leading entity of this domain, we are engrossed in providing supreme quality ESD Safe Stool. 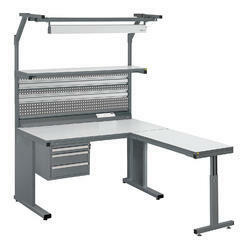 Our popular workstations made of powder coated mild steel channels are economical and modular. 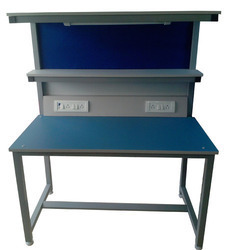 The ESD Safe MS Workstation can be dismantled and welded in varieties. Designed to carry accessories such as shelves, conductive bin racks, lighting, keyboard drawers and many other accessories to help customize the worktable for the customers specific activities. It is our endeavor to supply as per the requirement of customers for higher usability, reduced costs and aesthetics. Refer to our list of accessories and technical datasheets and discuss with our engineers for full information on the options available in the accessories range. We provide a wide range of combination options, every workstation can be practically equipped with workbenches in a space-saving way. 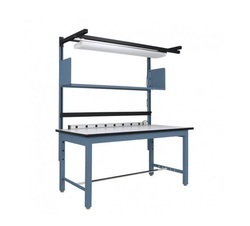 This industrial strength ESD Safe Work Bench anti-static workbench/assembly table includes bench, uprights, 6" shelf, parts cup rail, electrical channel and overhead economy light. We are well-known for the Special, Ergonomic Stress-Free Design ESD Fabric Upholstery Chair. These ESD Safe Cleanroom Workstation come in various shapes and sizes. You can also get customized work stations according to your need and requirement. These safe work stations assist in eliminating even slightest of loophole in dangers attached with Electrostatic Discharge (ESD). 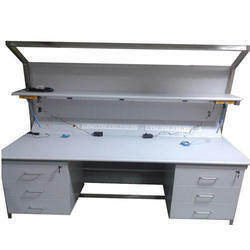 ESD Workstations, ESD Worktable, Industrial Tables, ESD Table, and Anti Static Workstation etc. are meant to save your body from any electrostatic discharge. These products have unique quality in them through which they do not allow to pass electricity current to your body. The use of these numbers of ESD Tables and Workstations provide safety to your body in unsafe working area that has Electrostatic Discharge (ESD) presence. These different ESD Workstations provide engineers, operators, and workers safety in perilous regions of a factory area to work with ease and comfort and not being concerned about the electric shock due to some electricity discharge. Hence, it is very useful to have these ESD Tables and Workstations to work on with safety and ease. These safe ESD apparatus come in different shapes and sizes that make it easy for business enterprises to choose a type of materials that suits their needed and these can also be customized.